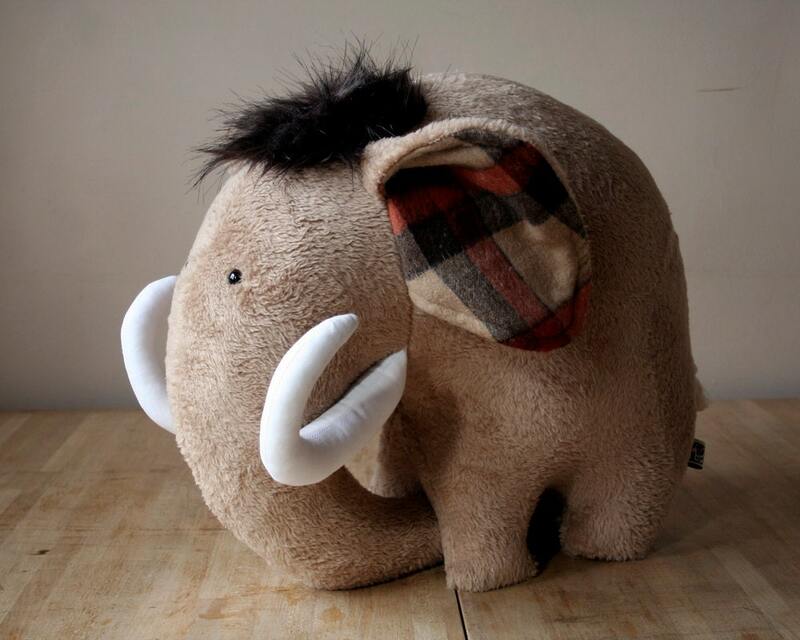 This Mighty Mamoth is a very soft and cuddly plush for the nursery. It is not really a toy but a very comfortable and soft pillow. 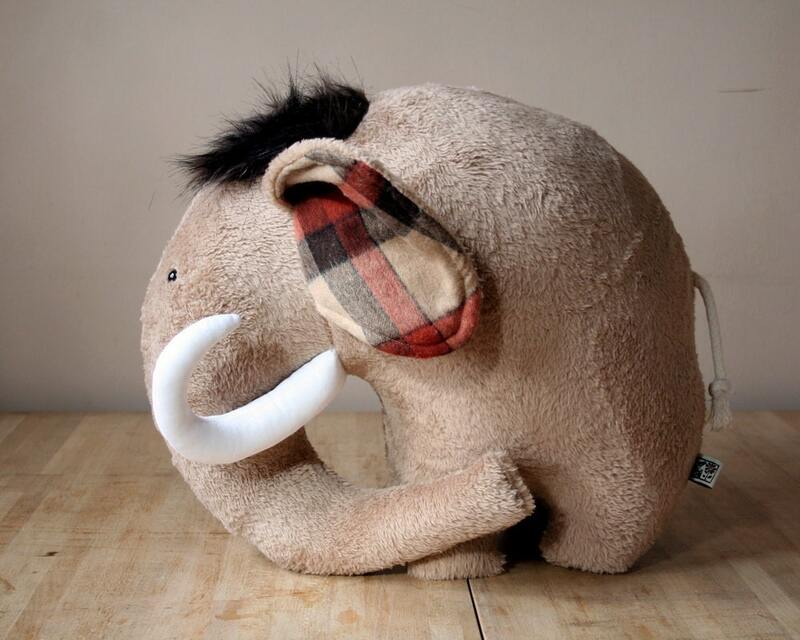 It is made of a high quality peanut brown wellsoft and stuffed with polyfill. The inner side of the ears made of tartan fabric. 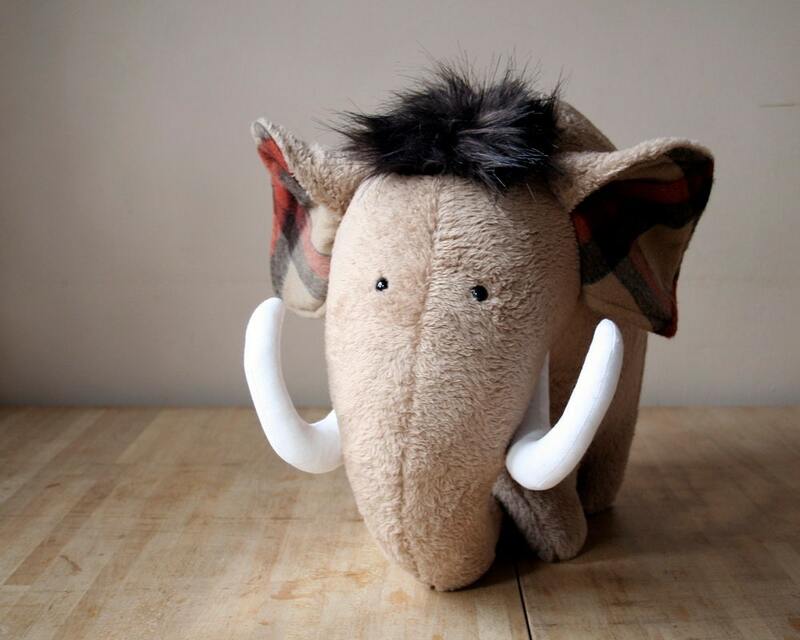 The tail is made of rope, the tusks are made of white canvas. The eyes are baby safe safety buttons. 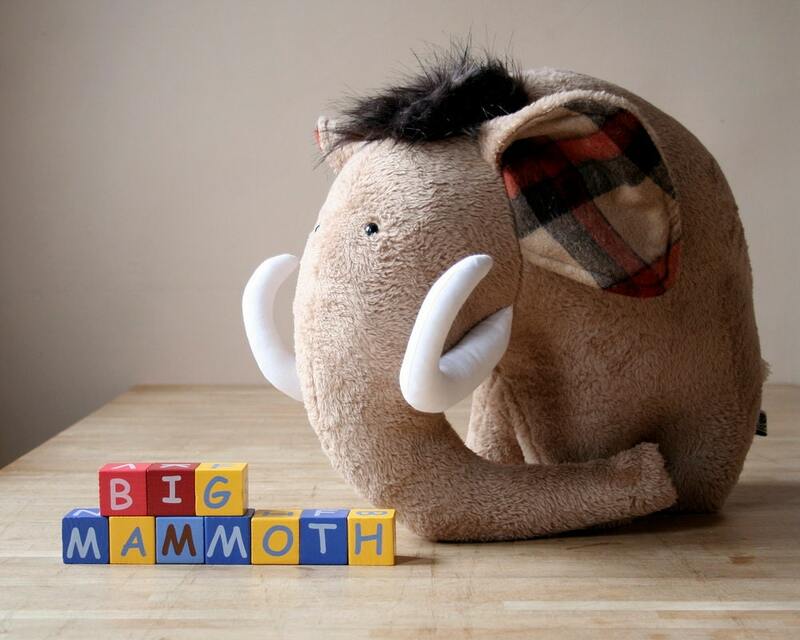 The Mammoth is huge - almost 50 cm (20") in diameter. 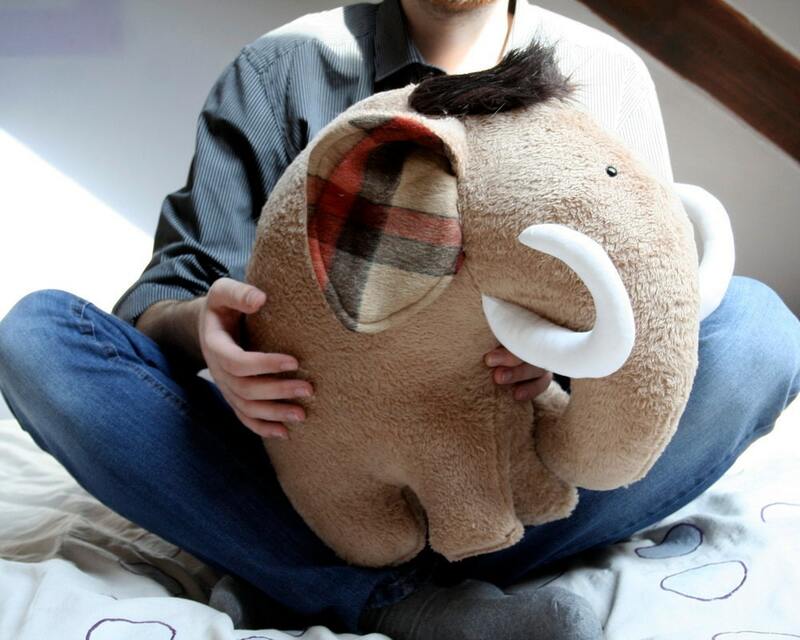 Fantastic job on this adorable mammoth! It's super well made and very cute. Thanks again!